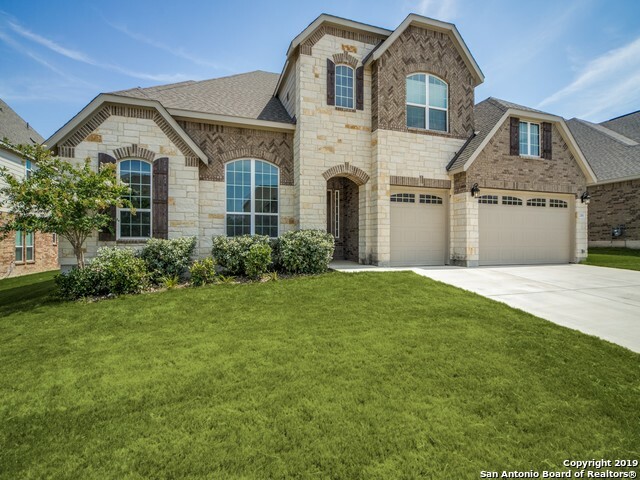 All ALAMO RANCH homes currently listed for sale in San Antonio as of 04/22/2019 are shown below. You can change the search criteria at any time by pressing the 'Change Search' button below. "Rare find in Alamo Ranch on 0.39 acres. Grand Master bedroom is located downstairs! A secondary bedroom also downstairs with a full bath. Upstairs 4 add'l amazing bedrooms, impressive media room and a superb game room! 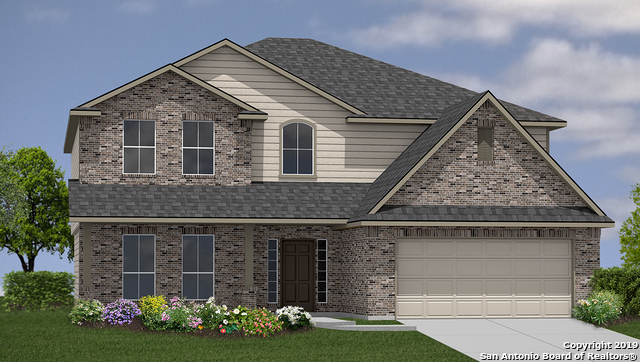 6 bedroom / 4 bath has an island kitchen w/granite, gas cook top and custom cabinets. 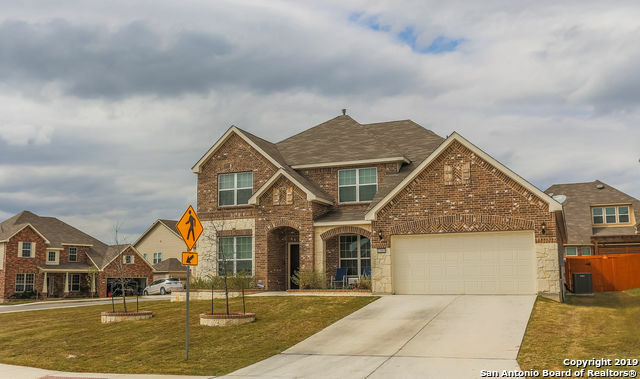 Breath taking corner lot perfect for entertaining which includes ample covered patio w/tile flooring, build in full outdoor kitchen, dog run and outdoor Bose speakers. Walk to park across"
"This Home Has it ALL - 5 Bedrooms, 4 Full Bathrooms, 1 Half Bathroom, and your very own Media Room- This Home is Huge 4,541 Square Feet - Brick, Rock, and Cement FB, 3 Car Garage, Covered Porch, Covered Patio, and Upgraded Wood Fence - Interior Features New Wood Floors, Ceramic Tile, and Carpet, Granite Countertops, Stainless Steel Appliances, Fireplace, and Upgraded Fixtures, Hardware, and New Blow In Insulation in Attic - Full Sod and Sprinkler System - Absolutely Stunning 21' Entry & Family "
"Beautiful and stunning 4 bedroom 3.5 bath will surely delight. Past the entry, you enter the spacious living room that features 2 story high ceilings. Upstairs features an oversized game room and media room for hours of entertainment. Lots of tile throughout home, custom cabinets." "There's space for everyone in this home! Whether eating at the massive kitchen island, dining room or outdoor patio, you're in for a treat! Enjoy a Chef's kitchen with gas cooking and ample counter space, open to the family room. High ceilings throughout, including the expansive 1st floor master suite. 1st floor office (or bedroom) & bath, ideal for guests. Upstairs, enjoy the Bonus room & enclosed Media room (potentially Bedroom #6). 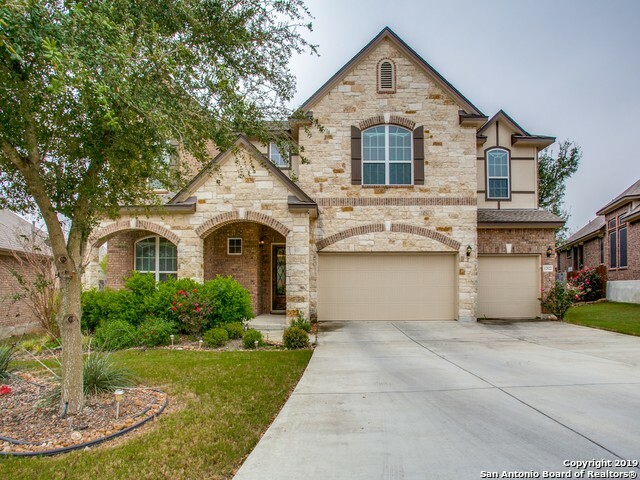 3 Car Garage, Solar Panels; neighborhood amenities include a "
"Beautiful 5 bdrm 3.5 bath in exclusive gated Summit at Alamo Ranch! Large .24 acre end of the cul-de-sac lot, beautifully landscaped w/sprinkler system, glassed-in porch and outdoor kitchen. Upgrades galore: oversize garage with shop space, expanded stone exterior, whole-home water filter with softener; crown molding; granite counters throughout; pre-wired for surround sound; bay window in MBR and two MBR closets with access to laundry." "*QUALITY BUILT EMERALD HOME* 3 Car Garage. Beautiful and stunning 4 bedroom 3 1/2 bath will surely delight. Past the entry, you enter the spacious living room that features 2 story high ceilings. Upstairs features a game room and three well sized rooms. Wrought Iron railing enhances the staircase and overlooks. You'll find yourself on those summer night enjoying the covered rear patio. Lots of granite in the open kitchen with large island." 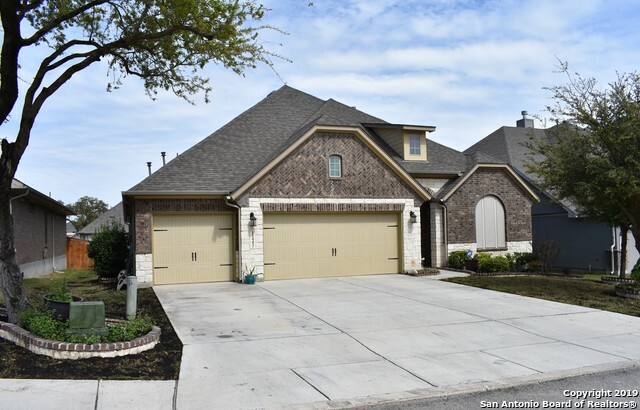 "3546 SF OF LUXURY LIVING IN THE EXCLUSIVE GATED COMMUNITY OF THE PRESERVE AT ALAMO RANCH!! THIS BEAUTIFUL DAVID WEEKLEY HOME OFFERS AN OPEN PLAN, THE EXECUTIVE SERIES, OVER-SIZED GAME ROOM, STUDY, PRIVATE OWNER'S RETREAT, MAJESTIC FRONT PORCH WITH SECOND STORY BALCONY!! GORGEOUS POOL A PLUS FOR FAMILY AND GUESTS ENTERTAINMENT." 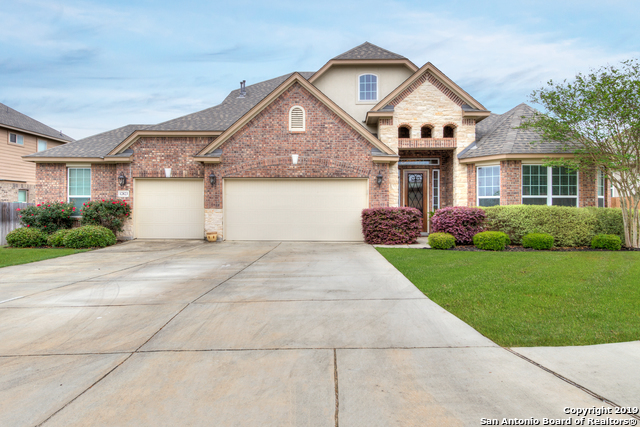 "This amazing home features a great open floor plan with beautiful hardwood floors. Home theater room. The upstairs boasts the perfect family setup with a jack and Jill bathroom and separate Mother-in-law suite. The master is a must see with a walk in spa and rain forest shower. Also including 2 separate walk in closets. As if it couldn't get better you are sitting on a private greenbelt w/ mature trees and getting a 3 car garage!" 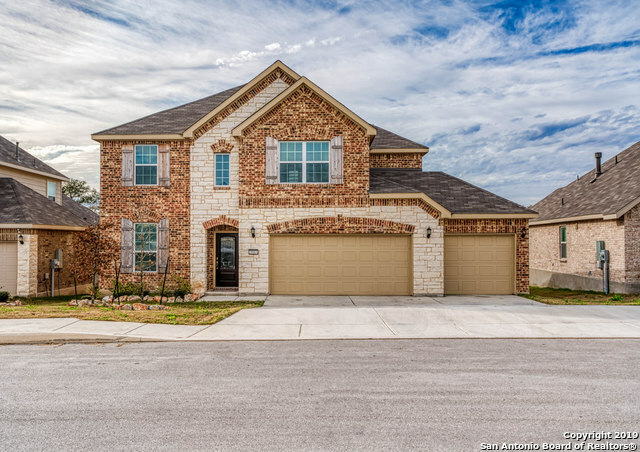 "GORGEOUS 2 story corner lot home with fantastic curb appeal built in 2017 in a highly desirable Alamo Ranch community. 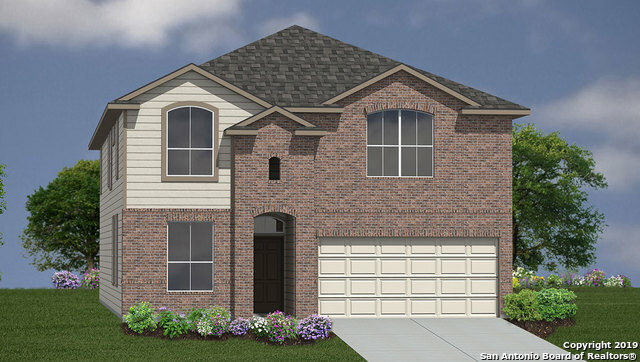 1st floor features a beautiful open floor plan with large kitchen island perfect for entertaining, ceramic wood-look tiles, family room, breakfast nook with built in work area, study and a formal dining. Upstairs features a game room, media room, Jack and Jill restroom, guest suite, lots of upgrades and so much more. Exterior has a front porch, covered patio with a big backyard"
"This beautiful home has huge rooms, open flowing floor plan. Windows Windows Windows! Family room has an accented wall with beautiful fireplace. Game room is the only room upstairs. Master bedroom and closet are huge with outdoor access. Custom curtains are included with the home. Please read Agent Remarks." 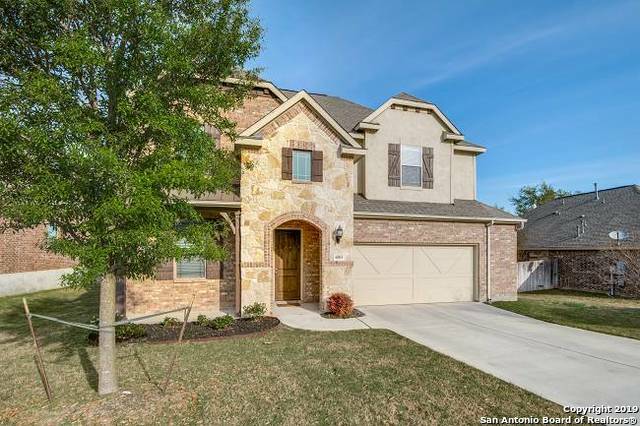 "Gorgeous 1.5 Story corner lot home in Alamo Ranch built in 2017 with fantastic curb appeal. 1st floor features 3 BR's, Study, Master BR, 2 Full BA's, built-in Planning/Technology area. 2nd floor features full BR/BA and game room. Exterior offers large level backyard with covered patio at front and back, extended flatwork, privacy pergola, storage shed. Many upgrades including double ovens, security cameras, shatter-proof storm doors, upper level granite-tile-cabinets, gas fireplace on switch, wa"
"*QUALITY BUILT EMERALD HOME* Beautiful and stunning 4 bedroom 3 1/2 bath will surely delight. Past the entry, you enter the spacious living room that features 2 story high ceilings. Upstairs features a game room and three well sized rooms. Wrought Iron railing enhances the staircase and overlooks. You'll find yourself on those summer night enjoying the covered rear patio. Lots of granite in the open kitchen with large island." 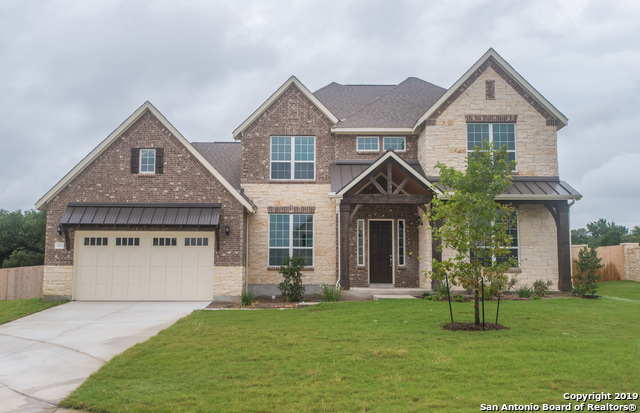 "Gorgeous 1-Story Home in the heart of Alamo Ranch. Open floor plan with SOARING HIGH 12ft Ceilings & Gas Fireplace. Natural Stone Accents, Curved Architecture & MASSIVE ISLAND in your Chef's Kitchen w/ Double Ovens. 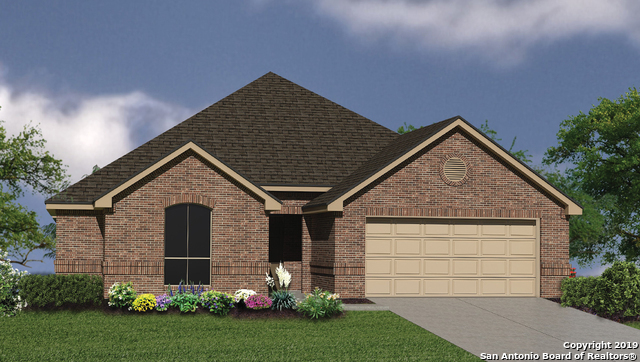 Master has Vaulted Ceilings, Bay Window with LOTS of Natural Light & HUGH Walk-In Closet. Spacious Mother-In-Law Suite with Bay Window & Walk-In Shower. Save money with Green Features; Radiant Barrier Roof, Window Covers, Energy Efficient Appliances & Zero-Scape Backyard. 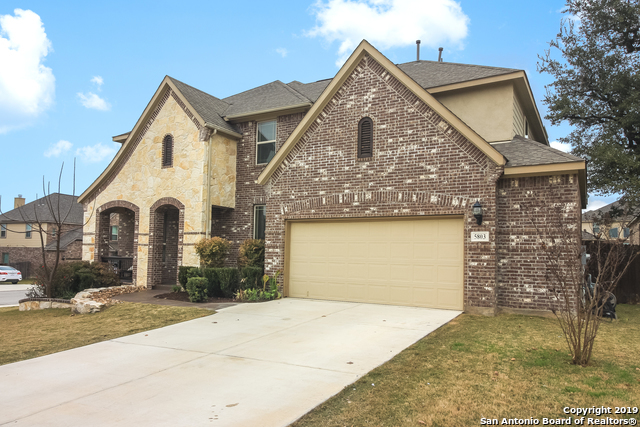 MOTIVATED S"
"This 4 bedroom, 3.5 bath home features 3532 sq ft. The first floor offers an entry way that opens to a dining room and stairway leading to the second floor. Past the stairway, the entry hall opens to an open-concept kitchen area and breakfast nook then to the living room. The downstairs master will accommodate any size bedroom furniture. 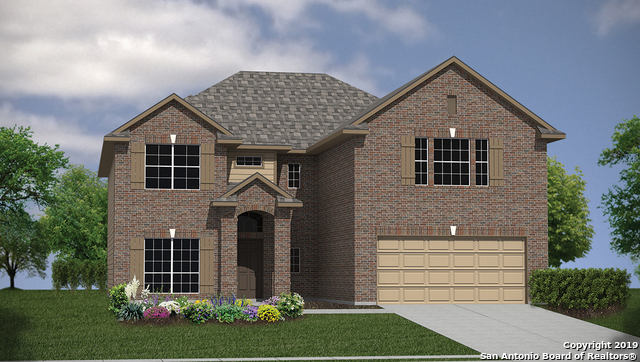 Upstairs there are 3 secondary bedrooms plus a wonderful sized game room and media room." 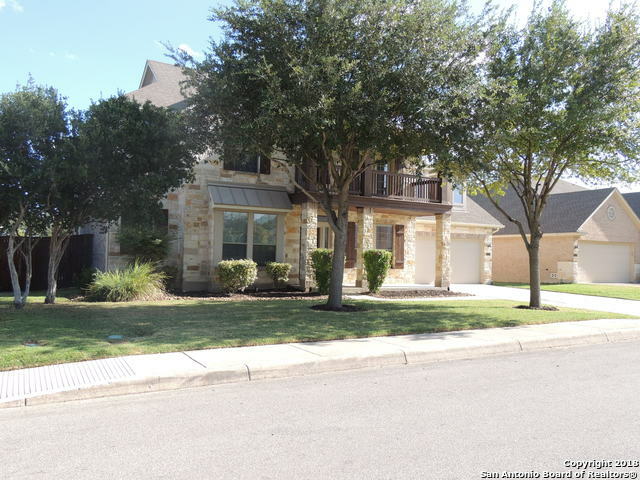 "This Alamo Ranch beauty has it all, wood floors throughout main floor, island kitchen with granite counter tops, tiled back splash & SS appliances. Spacious master suite downstairs with spa like bath. Generous size secondary bedrooms & game room upstairs. Great location, close to area shopping, dining & entertainment. Easy access to Loop 1604 & State HWY 151. Must See!" "Open feel. J Kraft Custom 42-inch cabinets, granite counter tops, and custom ceramic tile back splash in kitchen. Frigidaire stainless steel appliances, with microwave vented to the outside. Master bath upgraded with granite counter tops and over-sized shower. Skybell doorbell camera and Z-wave thermostat. Covered patio with full yard irrigation system. Fenced, sodded and landscaped home site"
"Swoop in on this stellar single story. The free-flowing floor plan is smartly equipped w/the features & upgrades you demand. Granite counters, hardwood floors, high ceilings and much much more await. The kitchen is ready for serious cooking; the master is a peaceful place to rejuvenate. Guest suite & adjoined bedrooms are ideal for families/visitors. Entertain on the large patio shaded by mature trees. Stand outs include: 2.5 garage, custom closets, office/study, JNJ bath, storage, landscaping &"
"Stunning 2-story home 4 bedrms & 3.5 baths w/ open floor plan. Open dining area in gourmet island kitchen, granite counter tops, gas cooktop, tiled floor & backsplash & recent fixtures. Spacious Mbedrm down w/ bay windows & French doors open to mbath w/ his/her sinks, sep. tub & walk-in shower & master closet connects to utility rm. 1/2 bath down & Lg upstairs game rm w/ full bath. 4th BR is flex & can be used as an office. Screened in porch. 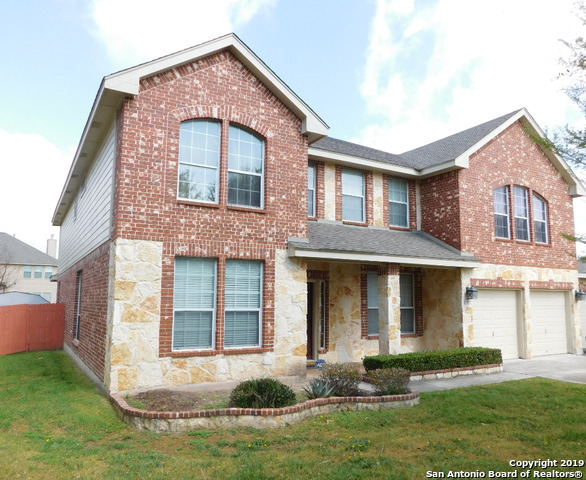 Easy access to 1604 & 151 Access Rd, shopping, dining"
"Beautiful and stunning 4 bedroom 3.5 bath will surely delight. Past the entry, you enter the spacious living room that features 2 story high ceilings. Upstairs features a game room and media room for hours of entertainment. Home features wrought iron railing at stair rake, lots of granite in kitchen and stainless steel appliances. Beautiful view over the rooftops from the rear balcony."